It's becoming a bit of a tradition that to celebrate my birthday, I sign up for a race on the closest weekend. This year was going to be the most epic of all of my birthday events...I was going to take part in Ironman UK in Bolton which was being held on Sunday 19th July. It felt like fate - the race was actually on my birthday...and I was going to become an Ironman!!! 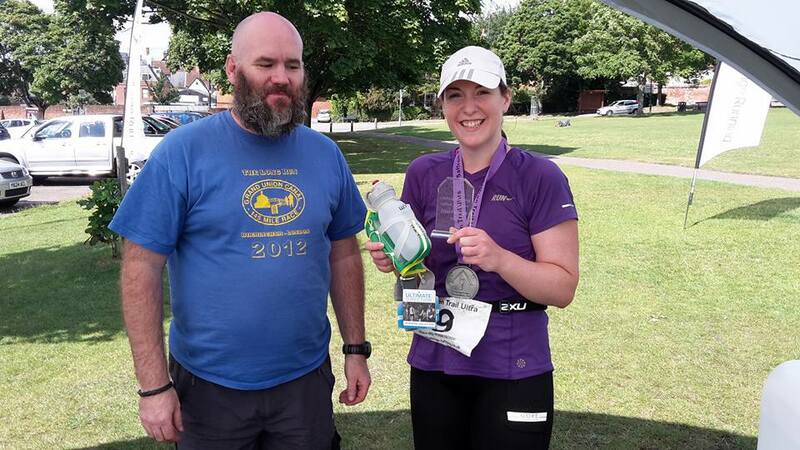 Unfortunately, although training started pretty well last year, once I started my new job in January, and started focusing on the GUCR, my three sport training really became a struggle, and before long, I knew Ironman wasn't likely...although I kept kidding myself until a couple of months before the big day. However, eventually I had to face facts - I just hadn't put in the training I needed, and if I turned up, it would be a very bad birthday! So, I decided to sign up for a running event instead, and found the Saffron Trail ultra, a local Essex race, put on by my friends at Challenge Running. It was 70 miles, cross country and overnight...just my thing, and something I knew I would enjoy. In the weeks coming up to the race, I did some recce runs to help familiarise myself with both the route, and the route instructions - some miles were on my own, some with fellow runners Nicki and Brian - which proved absolutely invaluable, and knowing the course, I was thoroughly looking forward to spending my birthday weekend doing something I love. 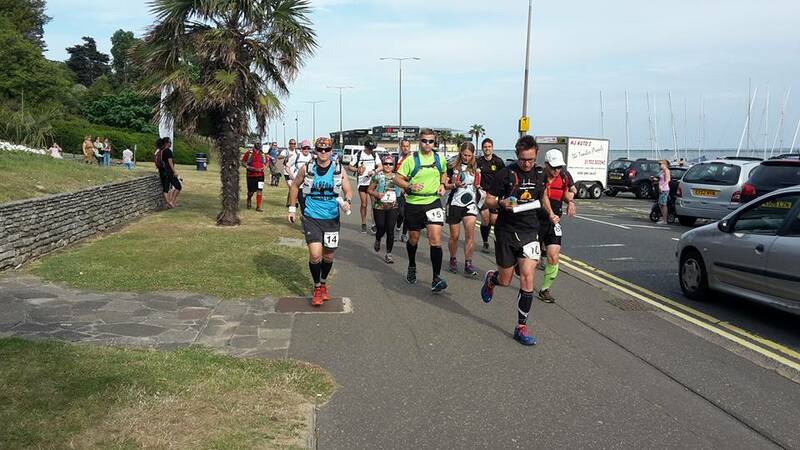 I had planned to get the train to the start line, down on the seafront in Southend, but Francis offered to drive me so he and Chewie were there to see me off which was very unusual but perfect - the benefit of a race that doesn't start until 6pm in the evening! It was a lovely and low key. With a few late drop-outs, and I think some people put off from signing up because last year's race had sounded pretty tough - there were just 17 runners getting ready for the race and a few family members. Lindley and Maxine were doing kit check, answering questions and making sure everyone had their trackers set up. There were no drop bags, so as well as mandatory kit, I also had an extra headtorch and loads of food. No gels though - I've decided they just don't work for me on the long runs. We were sent on our way at 6pm. Weather was gorgeous, and the first mile or so was busy with families, cyclists, dogs and cars for us to find our way around. A few people asked what we were doing. "Running 70 miles to Saffron Walden" - I love the look on their faces when you tell them you're doing something they just don't believe! We were soon on a trail path though, but it didn't take long for the other runners to disappear off in front of me - the last I saw of the main group, they were running up a steep hill to Hadleigh Castle. Running up hills, unless you're incredibly fit, is just something I don't understand and I felt I'd misjudged how fast everyone else was going to be...just a couple of miles in and I was second to last bar the sweepers! 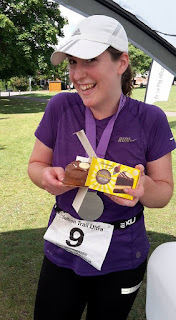 Although I was a bit shocked at the pace, I felt relaxed, and knew I was going to have a lovely time - even if I was going to be last, I was still going to enjoy myself. Having recce'd the route was a great confidence booster - everything looking familiar just made such a difference, and I soon settled into a comfortable pace and was plugged into my ipod. The weather was perfect, and it didn't take long before I found myself at the first checkpoint. I'd overtaken Nicki by this point, but still hadn't seen any of the other runners since those first couple of miles! Dusk fell just as I got to a main road, and I pulled my headtorch out but felt pretty vulnerable, and with the failing light knew it would difficult for drivers to see me. I wished I'd worn more reflective gear! Luckily, the road sections were all quite short, and after the next checkpoint, I was back on the trail and started to feel pretty good. It always takes me a while to get warmed up, but I love running in the dark (it feels like a bigger adventure) and I was very happy by now. I remember seeing bats swooping through the air. I started to think I could see lights in the distance (UFOs?) but realised it was headtorches from other runners up a hill. I wondered if some of the runners had gone off too fast and were now starting to lose their pace. Sure enough, I realised I was getting closer, and then as we came to the next field, I realised there were quite a few people. This was one field where the path wasn't cleared at all, so we had to go through the crops. Everyone in the group was walking, and I'm sorry to say the competitor in me realised that this would be a great opportunity to pass a number of them all at once, and it was a chance I should take. So I did...I carried on running through the field (high knees through the plants! ), overtook them all, and put on a bit of speed for the next mile or so until I was confident I had cleared them. Again, I think it really helped that I knew where I was going. I crossed a stile into a field full of sheep. I didn't want to startle them or unduly upset the flock, so decided to take a detour. Needless to say, I'm no ninja, and soon there seemed to be hundreds of pairs of eyes reflected in my torchlight, before they all decided to run away from me. Unfortunately, by then I had totally lost my way across the field, and couldn't work out where the path was, or where the gate was to get out of the field on the other side. I was utterly disoriented, and just ended up running around the field, and then nearly ended up in a lake! In the dark it didn't look like water, just a dark area that I though was caused by shadow from the trees above (although thinking about it, there wasn't really any moon, so shadow from what?!). Anyway, I managed to stop myself before I went for a swim, but was ready to despair, when I saw those familiar headtorches heading across the field. The group I'd passed had caught me up. Although I was a bit annoyed at having wasted my efforts in getting past them earlier, I was thankful that they were there, as the path was obviously in a totally different direction, and I could have been wandering around in that field until the sun rose! I followed their lights, and found the path, the stile over the fence, and was eventually back on my way. Another checkpoint was soon after this, and I arrived here just after the girl who was running as 1st Lady, and so decided this would be my opportunity to get back into the position I wanted. However...first...we had the serious business of refuelling, and as I had my bottles refilled by the lovely Hazel, and sampled some of the brilliant variety of snacks that we had at every check point, another volunteer informed me that it was just after midnight...that meant it was my birthday, and so I was treated to a rendition of Happy Birthday. I couldn't think of anywhere I'd rather have been! It was lovely. I quickly sorted myself out though, and headed off before the rest of the group, anxious to re-establish myself as 1st Lady. Along the next section, is a field that I remembered from when I recce'd the course, that had lots of cows and calves in - we'd had to clamber over a barbed wire fence as they were all sat around the gate. After the sheep field debacle, I checked the map, which Lindley prints on the back of the route instructions, and decided to take a detour around the field, sticking to the road instead. It seemed slightly longer, but I didn't want to be dealing with cows in the dark! Soon enough, after another detour from the route I'd recce'd, this time due to construction work, I was in Chelmsford. I'd been dreading this - it was about 1:30am with drunk people spilling out of the clubs. I counted myself lucky that I got through town with only a couple of cat-calls...nothing too concerning...but running through the park where I felt particularly uncomfortable, I was so relieved to see a supporter out on the path. He had coffee, water and gels with him, but just to see a smiling face at that point was a real boost. He said he lived really close to the route, but I assume he was out there waiting for a friend. Anyway, it was very much appreciated! 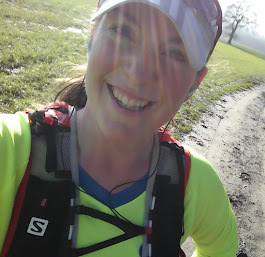 On I went, and everything was fine - I was feeling pretty chirpy and amazed at how my body was holding together. 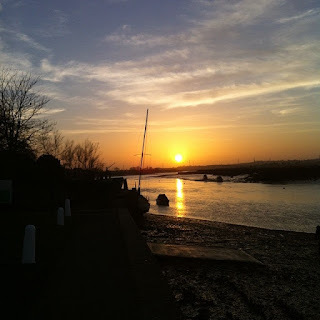 The Achilles pain that I struggle with most days had totally dissipated at about 20 miles in, and I was very pleased that it hadn't returned and to be honest I felt better than I usually do. I reached the checkpoint by Tilty Church and had got to that seemingly inevitable point of not wanting anything to eat but knowing I had to have something. They had cheese! Usually I carry Babybel but had forgotten to buy any and this was the perfect snack at that time. I refuelled well as we chatted. Maxine told me I was only the second runner they'd seen. I was in 2nd place as well as being 1st Lady! I was very surprised - I must have been doing better than I thought - and when I left, I was very determined that I would not be caught. I felt strong, but found myself checking over my shoulder whenever I was taking a walking break to make sure I couldn't see any runners gaining on me. I got a bit paranoid! It had tried to rain a bit a few times in the night, and this continued in the early morning, but aside from a 10 minute absolute downpour, there hadn't been anything too heavy. I'd had my coat out a couple of times, to protect everything in my race vest if nothing else, and even after the torrential shower, I dried off quickly. So, things were going well. But unfortunately, this didn't last for long. I hadn't recce'd the last 10 miles or so. I got lost again. VERY LOST. So lost, that after endless wandering around trying to find a bridge, I waded through an ankle deep stream, with even deeper mud, hauled myself up over the other side of the steep bank, only to have to climb over a double layered barb wire fence, to get into a field on the other side. And I still wasn't any the wiser as to where I should go. In trying to work out it out, I managed to drain my phone battery and then realised I'd left my portable battery pack in my kit bag :( In the end I gave up trying to find the right way, and headed towards buildings, and just kept moving until I found a found a road. I started running in one direction, but on checking the map, quickly decided I was going the wrong way and started running along the road in the other direction. I wasn't entirely confident though, and when I saw a cyclist, I flagged her down, and asked if she knew where on the map we were. She only knew the road we were on, and the direction she was headed, but that was enough, and it confirmed that I was going to right way - I was soon able to follow the map to get back onto the Saffron Trail path. However, I was annoyed by this time, with myself for being so daft as to not being able to follow route instructions, with my shoes (the insole in one of my trainers had got rucked up from the dunking in the stream, and the water had also destroyed the adhesive on the velcro that was keeping my gaiter on the back of my shoe) and with the assumption that loads of runners would have passed me by now with all my wandering around and detouring! I wasn't happy! On I went though, and managed to go the right way for the rest of the race. At the last checkpoint, I was greeted by friends Rosemary and Liz, singing Happy Birthday at me again. They were so positive and it was lovely to see them, although I was in a thoroughly bad mood at this stage. They cheered me up though, and gave me the good news that I was still ahead of the other runners. 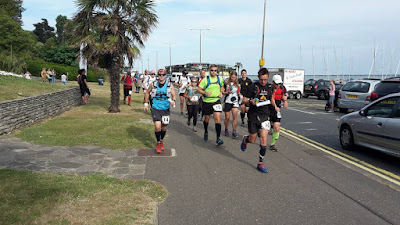 I could have stood around chatting with them for ages, but knew I had to keep going so on I went for the last stretch, just 4.5 miles to the finish. I headed on, and, as is always the way, the last few miles seem to take forever. Eventually though I got to Saffron Walden, and randomly saw Maxine at the side of the road. I was walking but realised I must be really close to the end and so we ran together towards the finish. Again, totally low key, but perfect - Lindley gave me a trophy for 1st Lady, a prize courtesy of www.ultramarathonrunningstore.com/, my medal, and a chocolate birthday cake! I couldn't have asked for better birthday presents. Although the field was very small, I was also incredibly pleased at coming 2nd overall. I finished in 16hrs 28 minutes, and beat last year's women's course record by nearly four hours. I got changed in a gazebo/tent they'd put up and sat around chatting until some of the other runners finished, and then Francis and Chewie turned up to collect me. We played with the dog for a bit in the sunshine before I started to get tired and realised I'd been up for over 26 hours, had run 70+ miles, and could probably do with some sleep, and so Francis drove me home. Unfortunately, due to the very low numbers, it's unlikely that the race will be held again next year, or if it is, it'll be during the day instead of overnight. I would definitely sign up for a day race, as some of the views are stunning and obviously we missed them in the dark, but the challenge of night running is something I relish. 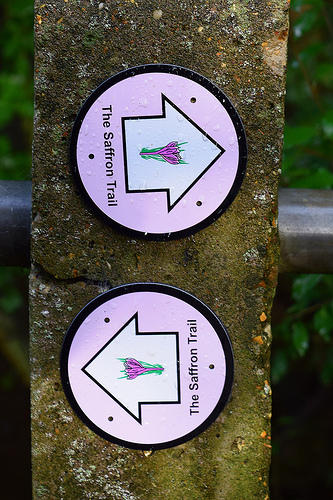 If this was the last Saffron Trail overnight race, I'm very glad I got a chance to experience it!